Every afternoon Noelí, a young Dominican girl, goes to the beaches at Las Terrenas. Along with her boyfriend, they look for ways to make a living at the expense of one of the hundreds of tourists that wander the beach. As people parade through her life, Noelí has a steady client, a mature French woman who, as time goes by, has found an ideal refuge on the island to spend her last years. Israel Cárdenas was born in Monterrey, Mexico. His features, co-directed with his wife Laura Amelia Guzmán, include Cochochi (07), Jean Gentil (10), and Carmita (2013). Sand Dollars (14) is their latest film. Laura Amelia Guzmán was born in Santo Domingo, Dominican Republic. 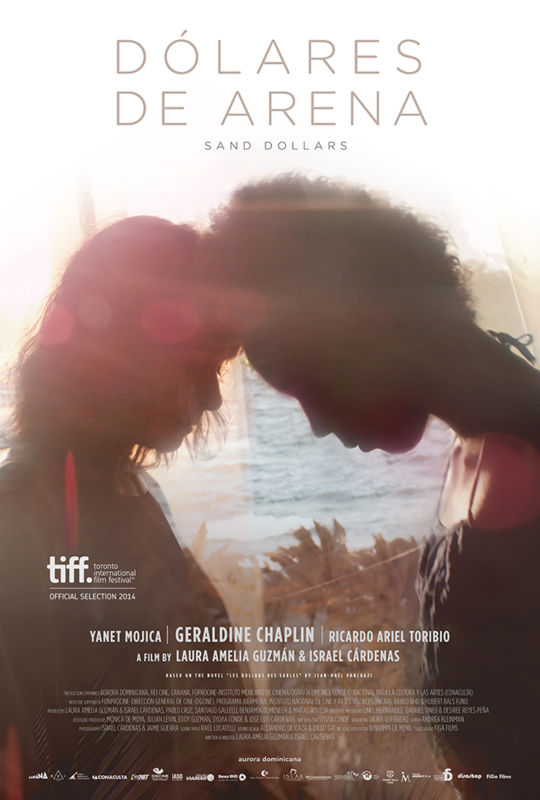 Her features, co-directed with her husband Israel Cárdenas, include Cochochi (07), which won the Discovery Award at the Festival, Jean Gentil (10), and Carmita (2013). Sand Dollars (14) is their latest film.